Anyone giving one of our puppies a forever home can be reassured that the interests of our girls are of paramount importance. Your puppy will have a Vet Health Check at 6 weeks old they will be examined by our vet you will be given a certificate of their health. Your puppy will be microchipped and transferred into your name at time of purchase. Your puppy will be wormed at 3 weeks and 5 weeks old. All this information will be given to you in the information pack directly from my vet. Please arrange to take Your New Puppy to your own vet as soon as possible. You need to arrange your puppies vaccinations . This will involve two injections normally 3 weeks apart. Your vet will advise, your puppy can not go for walks until after their second injection. Your vet will also continue your new puppies worming program. 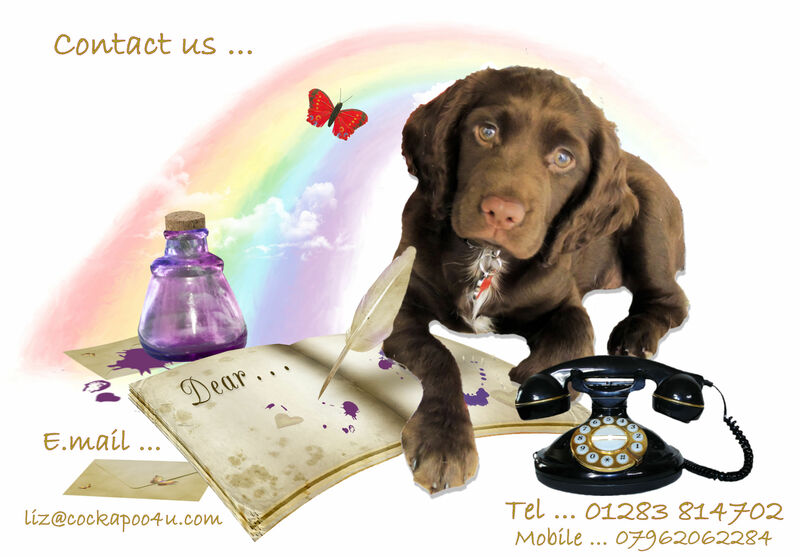 A Puppies Health is very important to us here at Cockapoo 4 u we have given your puppy the very best start in life. When we hand over your new puppy we hand over a precious baby that has been much loved and cared for, now you have the responsibility to carry on your puppies health care. We offer you 4 weeks free Puppy Health Insurance to give you and your new puppy the very best start in life.